Far off in the land of Oz there is a man who is stuck in the woods. This shiny, metal man isn't lost or anything but actually can't move. That's right, the Tin Man has been stuck in one place for years just waiting for some nice person to pick up a near by oil can to help him out. Lucky for this guy Dorothy Gale came by and helped him out so he can join her and her friends on a trip to see the Wizard. 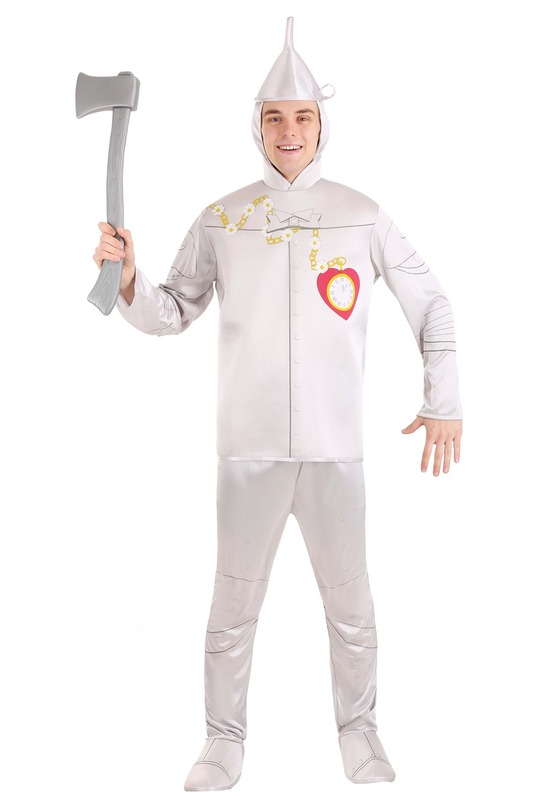 Now you can look just like the Tin Man in this great Wizard of Oz costume.